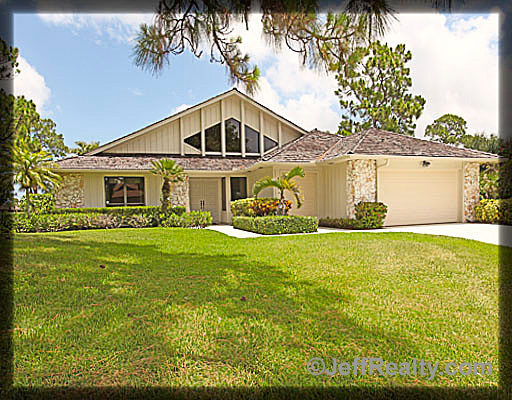 6565 Eastpointe Pines Street is a light & bright custom home on over half an acre with spectacular golf views. Soaring, custom, wood-paneled cathedral ceilings, hardwood floors, and lots of sliders tp let the light flood in. Expansive open plan living area with formal dining room and expanded Florida room take advantage of the magnificent views and make this spacious home perfect for entertaining. The kitchen is open & bright with a cook island and a Jenn-Air grill with a convenient breakfast area with French doors leading to secluded open patio. An oversized master with walk-in closets and large guest suite. A screened patio, private cozy den – lots of room to relax. This home has tons of storage, an alarm system, and a 2½-car garage. Posted in country club community, golf community on June 4, 2011 at 8:00 am.